This post is an excerpt from a story that I published on Medium. The original was called, “Adventures in Stick Shift Driving: An ADHD story”. The original is a 14-minute read and is about my history of driving; the decades that I avoided driving due to fear doubt and lack of confidence and about recently learning to drive a car with a manual transmission, aka stick shift. People with ADHD could have a higher risk of getting into an accident. There are some things that I’ve realized during my adventures in learning to drive. I probably should have recognized these years ago, given that I didn’t know that I had ADHD until I was in my early 20s. My ADD contributed to my driving anxiety in many ways. My spacial awareness and executive function made driving a challenge. The ADHD brain tends to get stuck on stories. I make one driving mistake, and I obsess over it rather than move on so that I can focus on the rest of the drive. The anxiety makes me forget things. I panic. When I first started my post-lesson practice, I forgot how to specific steps. My stick shift driving instructor warned me this could happen. I’ve read a bunch about ADHD and driving, mostly articles for which the parents of teenagers are the target audience. Keep your hands off the GPS. I’ve now done this twice (age 16 and recently) and honestly, I think that everyone should take one every decade or so as a refresher. Use cruise control when driving above a certain speed. I think it makes the most sense on long stretches of highway. Make sure you're adequately rested before you drive. If you have an early day, go to bed early. Being tired is a risk to all drivers whether they're neurodivergent or neurotypical. There's a reason that rest stops for truckers exist. Tiredness increases the likelihood of losing focus and making mistakes – for anyone. 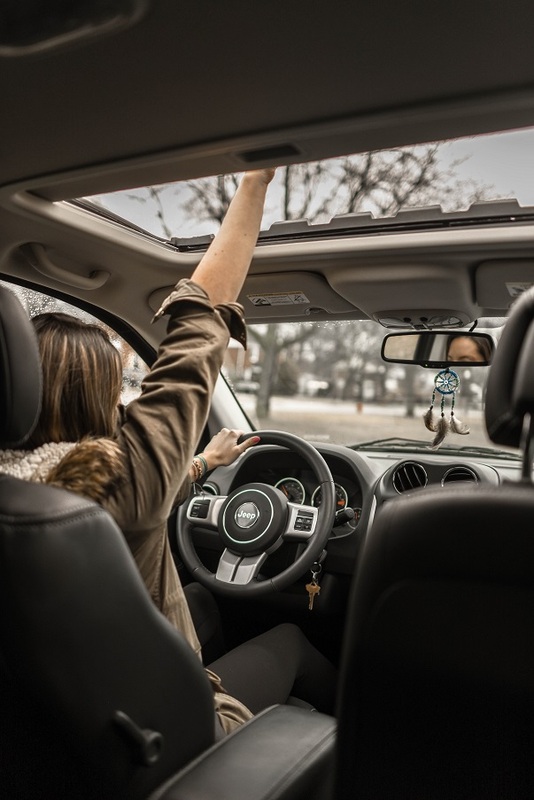 In the months before I got behind the wheel for my formal stick shift driving education and before I decided to take the lessons, I listened to an ADDitude magazine podcast about teaching teenagers to drive. It was an interview with a psychologist. He advised that people with ADHD shouldn’t drive cars with manual transmission and should only buy cars that are automatic. Although I’d been resisting driving my boyfriend’s car, this statement felt like poor advice. I read this expert’s advice two more times in two different articles. It never felt right. You need to pay attention. Some might refer to this as a reason to not drive manual. I think it’s a reason to. It’s too easy to tune out and go on “autopilot” when you’re driving a car with an automatic transmission. It’s too easy to allow distraction. Stick shift cars require focus at every moment and every action. It’s not just that you need to watch out for pedestrians and vehicles. You need to learn to drive with two feet. You need to shift up and down, finding the right gears without looking. You stop on hills (even gentle slopes) and maintain the stop by finding the right friction point on the clutch while also lightly pressing the gas. It’s a lot to remember. Not listening to the radio is an attention issue; as in, don’t let your attention drift to where it doesn’t need to be. Silence in the car also makes it easier to hear the engine. With a manual transmission, the engine “talks” to you and helps you drive. It tells you when you need to change gears, when you’re in the correct gear, and when you need to press on or lift the clutch. I listen to the gear shift: Without looking, I can hear when the shifter has clicked into the gear as opposed to not entirely being locked in. There's a specific sound that the gear shift makes when it clicks into Reverse, and that sound confirms that I’ve clicked into Reverse gear rather than 4th gear or 1st, depending on where Reverse is located in that car. (In my Honda Fit it’s bottom right, in my instructor’s Mazda it was bottom left. In a small study conducted in 2006, participants in a simulation study reported that they were more attentive while driving in manual transmission mode but real studies are hard to find. About a month after completing five lessons (two per week) and then practicing a small handful of times with my boyfriend in the passenger seat, I still tend to turn the wheel to the right a little when I shift as if I’m trying to change gears with the steering wheel. It’s a lot to remember. I’m retraining my brain. In doing so, I’m giving my brain exercise it needs. If you want to keep your brain agile, you’re going to have to hone in on parts of the brain that you use less frequently, says Swart. And this new task has to be so challenging that you’ll feel mentally and physically exhausted after practicing the task because you’re forcing your brain to work in ways it’s unaccustomed to. This is the only way you’ll actually grow new neurons strong enough to connect with existing neurons, forming new pathways. Mentally exhausted? Yep. Working in a way that my brain is unaccustomed to? Yep. I’ve experienced these while learning to drive and practicing. After each initial lesson, those in years past, I was done and drained. It’s one of the reasons that I wasn’t keen on more lessons. I’ve been writing Facebook status updates called “Adventures in Stick Shift Driving.” I share them below. Read the entire story on Medium to read those status updates and more.